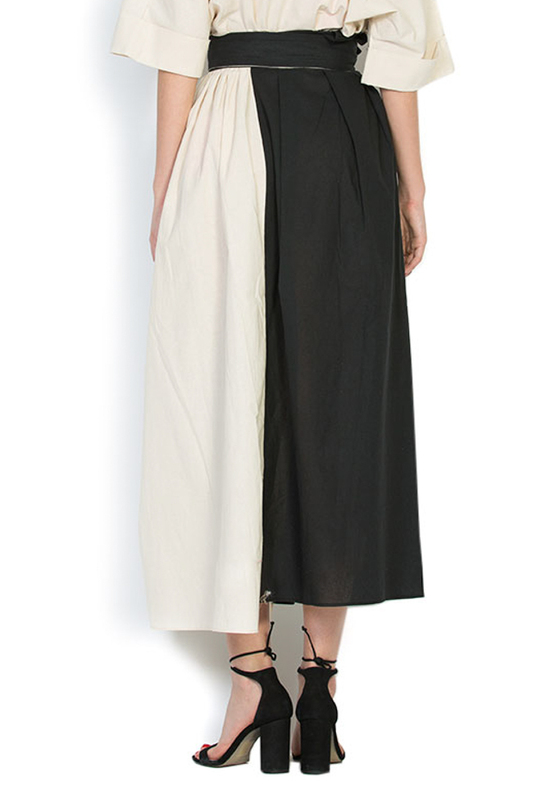 Embrace free-spirited dressing with Nicoleta Obis’s beige cotton wrap skirt. 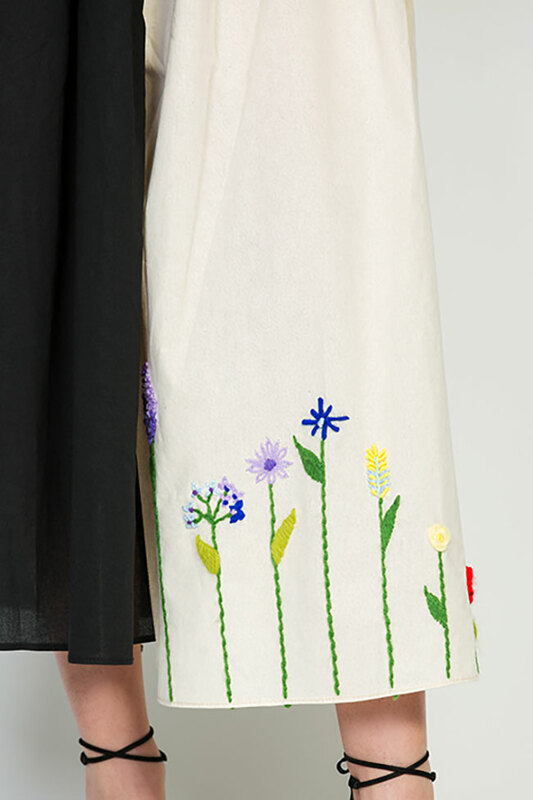 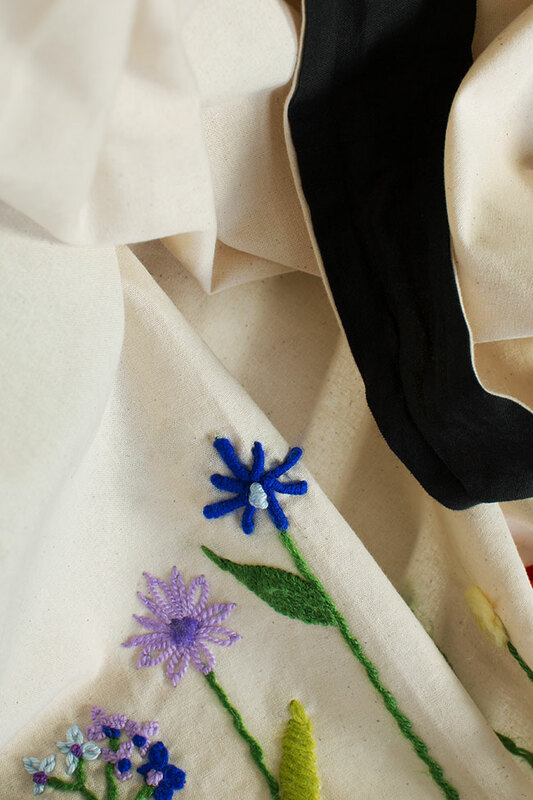 It’s intricately embroidered with flowers, and falls loosely over the legs. 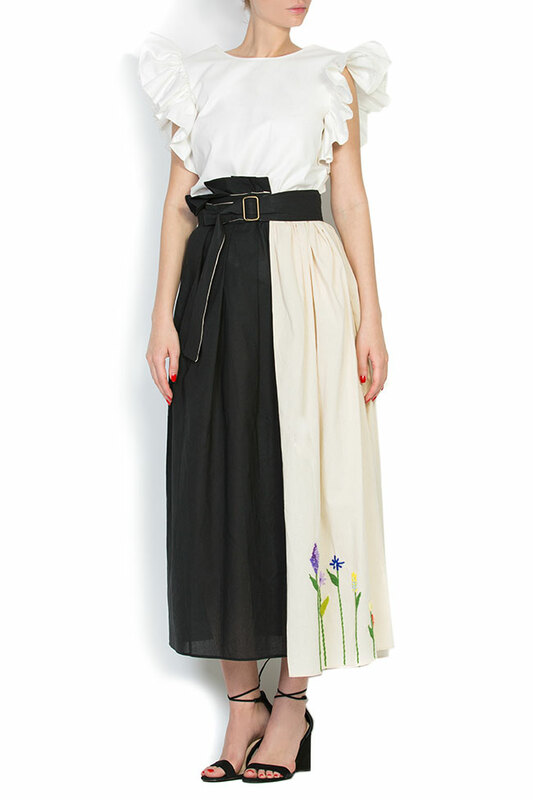 Note the self-fastening waist tie that can be adjusted for a closer fit. 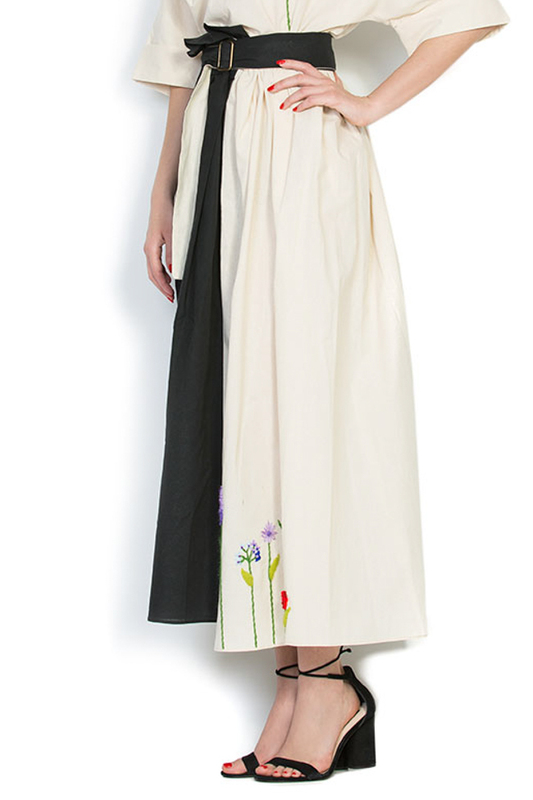 Style with a crisp cotton-poplin shirt and satin slides for a polished take on bohemian style.